If there’s one food product that’s loved across ages and regions in India, it has got to be the popular 2-minute noodles, also known as instant noodles. From school kids to college students, bachelors to senior citizens, everyone loves the convenience of this simple food. 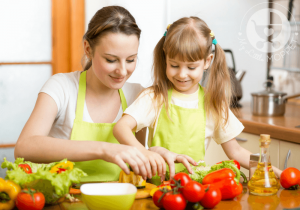 Moms particularly like the fact that it can satiate hungry kids in minutes, and can be customized to the liking of fussy eaters. But behind that tempting bowl of slurpy noodles is an ugly truth – they’re very unhealthy. Let’s take a closer look at why instant noodles is bad for your family, and for society in general. Instant noodles refers to noodles that are pre-cooked, and sold in a dry from along with seasonings to match. 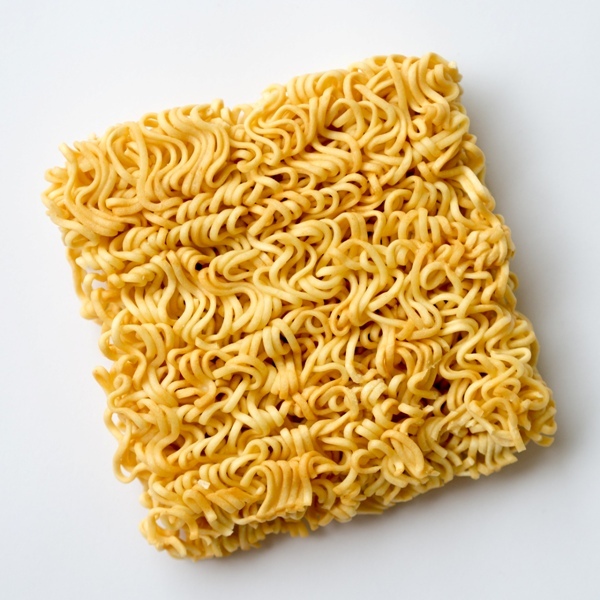 Instant noodles may be available as a noodle block accompanied by a taste maker packet or in a cup. The block noodles require cooking for a short time, while the cup noodles are usually soaked in boiling water for a couple of minutes. The pre-cooking of noodles usually involves flash frying with oil and then drying, which may be done via a number of methods. The most obvious difference between instant noodles and traditional noodles is in the name itself. Traditionally, noodles requires cooking for some time in boiling water, after which it is drained, rinsed and drained again. It is then fried together with an assortment of vegetables, meat or seafood along with spices and/or sauces. 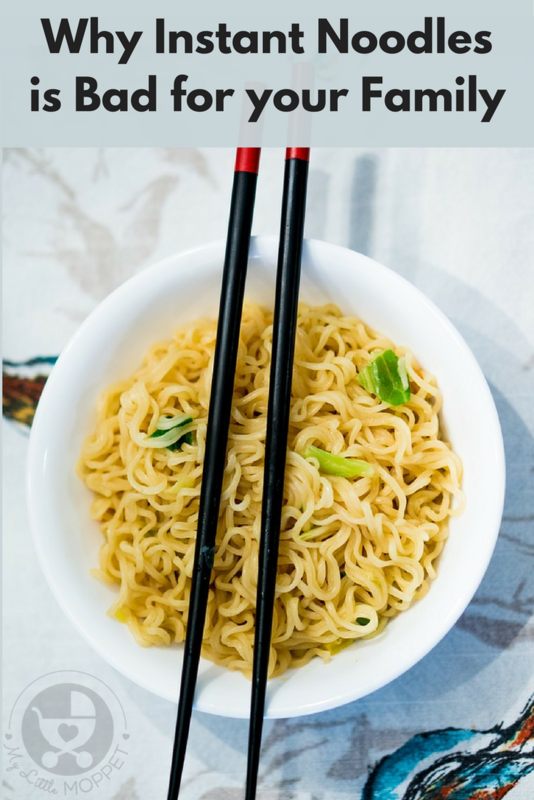 However instant noodles are generally boiled for just 2 minutes in just the amount of water required, along with taste maker and consumed instantly. What is Instant Noodles made of? Here are some of the main ingredients found in most brands of instant noodles. Wheat Flour – This is just another name for maida, or refined flour. Unless the list specifically mentions whole wheat flour, there is no indication that it is made of whole grain. 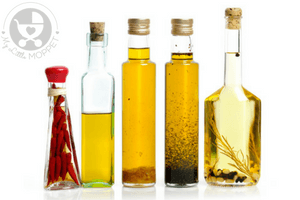 Edible Vegetable Oil – This is a very vague term that could include practically any kind of oil. Most noodle brands use palm oil, although only some mention it specifically. With 1 tbsp of palm oil containing 120 calories and 13.6 grams of fat, this is one of the unhealthiest oils around. 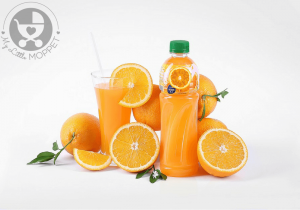 Acidity Regulators – Acidity regulators are also called pH control agents and their job is to control the acidity or alkalinity of certain ingredients. This also tends to alter the natural flavoring of food products. 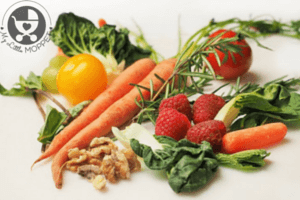 Flavor Enhancers – This is a group of chemicals that could refer to anything, but in the case of instant noodles, this most commonly refers to Monosodium Glutamate, also called MSG. This can trigger allergic attacks in some people and has been reported to be harmful for little children and pregnant women. Thickener – Thickeners are just as their name suggests – to thicken the food. Here it refers to increasing the product’s stability, improving its consistency. While not all thickeners are harmful, some have been linked to cancer. Anti Caking Agent – This ingredient prevents the formation of lumps and helps the noodles be packed and transported in neat little blocks. 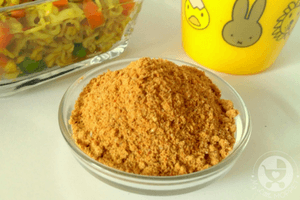 Dehydrated Vegetables – Some instant noodle packs claim to contain vegetables. But as you and I know, it can’t be fresh vegetables, obviously! What’s in the packet is actually dehydrated vegetables, often seen as tiny, hard bits and pieces. The dehydration process often leads to a loss in nutrients like Vitamin C.
Why is Instant Noodles bad for you? Obesity – A close look at the nutritional information of the instant noodles packs will reveal that a 100 g serving of instant noodles has an average of 400 calories. Since the major component of these noodles is wheat flour, these calories are predominantly from carbohydrate. Several studies have shown a link between excessive consumption of carbohydrates and obesity, especially in growing children. In South Korea, a study of women showed that eating instant noodles twice a week increased their chance of having metabolic disorder. Diabetes – Asians, especially Indians, are genetically more prone to diabetes, which is why India is becoming the diabetes capital of the world. According to a World Instant Noodles Association report, India is the fourth largest consumer of instant noodles globally, with a whopping 5.5 billion servings per year! Besides making us more prone to obesity, all the carbohydrates from instant noodles increases our diabetes risk even further. Indigestion – Many Moms have noticed that their children don’t feel too good after eating a bowl of instant noodles. This is mainly due to all the maida in it, which causes a strain on the digestive system. It can cause gassiness, constipation and discomfort, along with nausea. Heart Disease – Most packs of instant noodles are very high in unhealthy fats, such as trans fats and saturated fats. 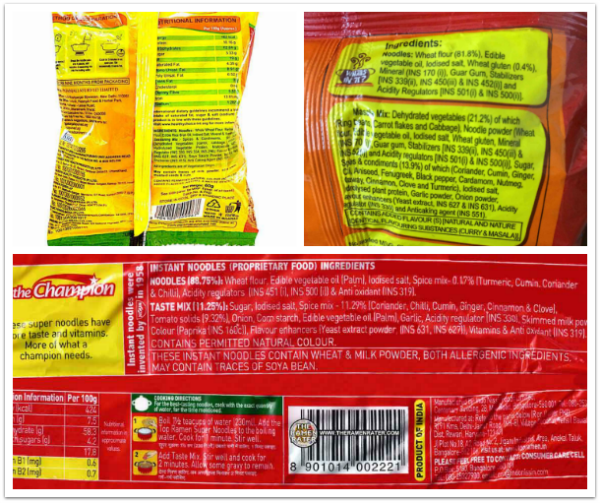 A single serving of instant noodles can contain high amounts of fat, as shown in the nutritional information section. Excessive consumption of unhealthy fats can affect the heart and cause chronic cardiac disorders. A Baylor University and Harvard study has revealed that instant noodles may increase the risk of heart disease and stroke. Kidney Disease – Instant noodles packs are notorious for containing high amounts of sodium. The sodium is not just from salt, but from all the added preservatives and flavors as well. Continuous consumption of sodium can affect the kidneys, causing irreparable damage. Besides these, each pack of instant noodles contains many chemicals under the names of flavor enhancers, thickeners and other additives and preservatives. Many of these are suspected to cause cancer, or disrupt normal hormone action especially in growing children. Cup noodles have the added disadvantage of their containers. 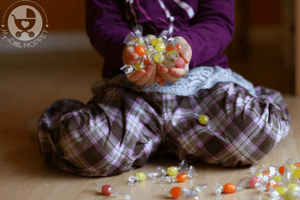 Many of them contain bisphenol-A (BPA), commonly suspected to be a carcinogen and hormone disruptor. South Korea – The Korea Food and Drug Administration (KFDA) announced that they had found a carcinogenic known as Benzopyrene in six brands of noodles by Nong Shim. Australia – The Australian Consumers’ Association conducted tests which showed that a single serving of instant noodles contained as much fat as in a cup of French-fries or in a quarter of a medium pizza. Well the obvious alternative is to bin all the instant noodles packs and make your own noodles, but we know that’s not exactly feasible! 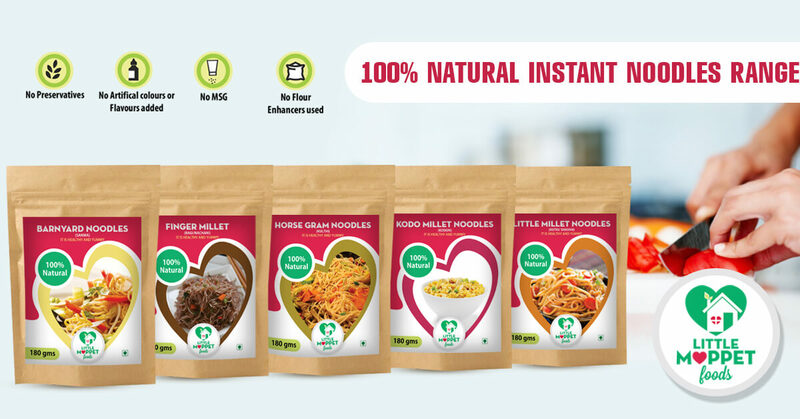 What we need to do is look for noodles that have been manufactured using eco friendly practices, using only natural, wholesome ingredients and devoid of preservatives and chemicals. In addition to these, you can also try Little Moppet Foods’ range of Natural Noodles. These noodles are made from whole grains and millet and contain no refined flour at all. The ingredients are clearly listed, and contain nothing that you can’t identify or pronounce! With 10 varieties to choose from, you really are spoilt for choice! 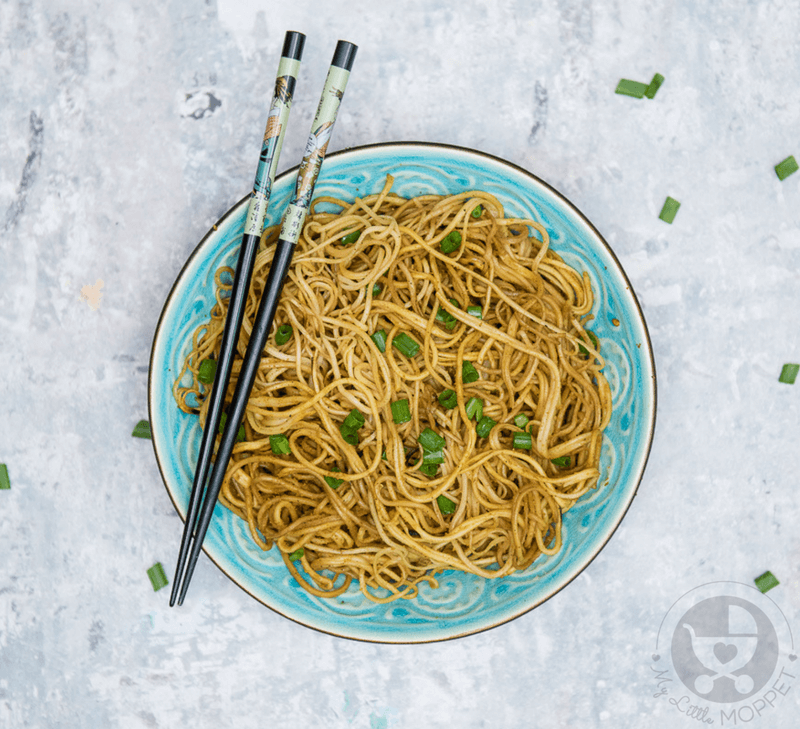 Check out our recipe for Garlic Soy Noodles, made with Little Moppet Foods’ Natural Soya Noodles. There’s something irresistible about a steaming bowl of long noodles, beautifully flavored and cooked with lots of healthy vegetables. 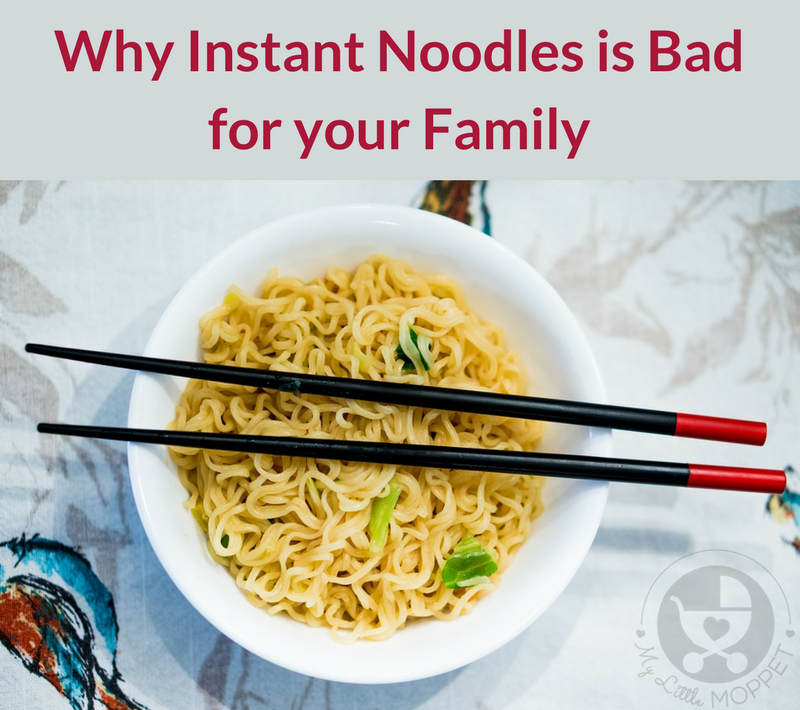 Since we know why instant noodles is bad for your family, we’re obviously going to stay away from it, but that doesn’t mean we have to deprive ourselves! With the right kind of noodles and lots of healthy accompaniments, you an have your noodles and eat it too!